This challah cover is part of the Rikmat Elimelech designer collection. This challah cover made from linen fabric, puts a modern artistic flair on the traditional Shabbat table. 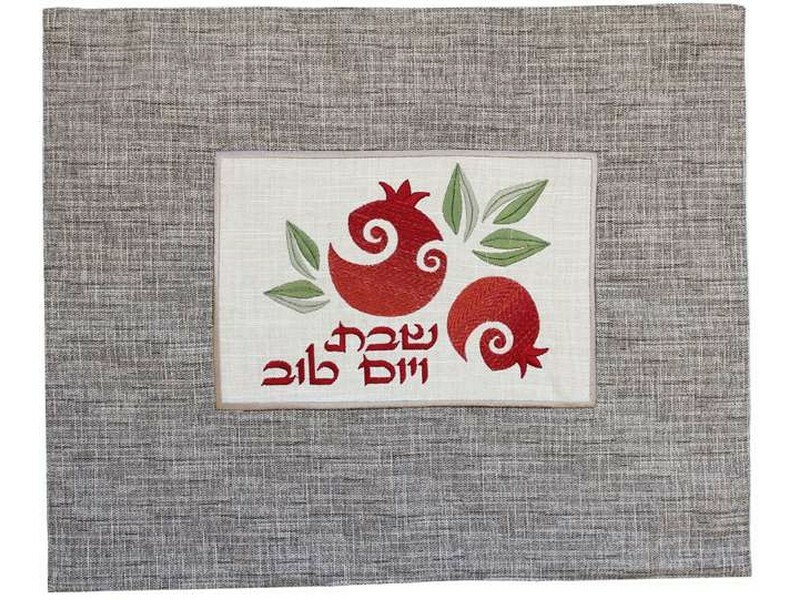 The gray colored challah cover has a white framed rectangular center with artistic red colored “rimonim”, pomegranates, and green colored leaves. The Hebrew words, “Shabbat v’Yom Tov”, “Shabbat and Yom Tov”, are embroidered in a calligraphic font.